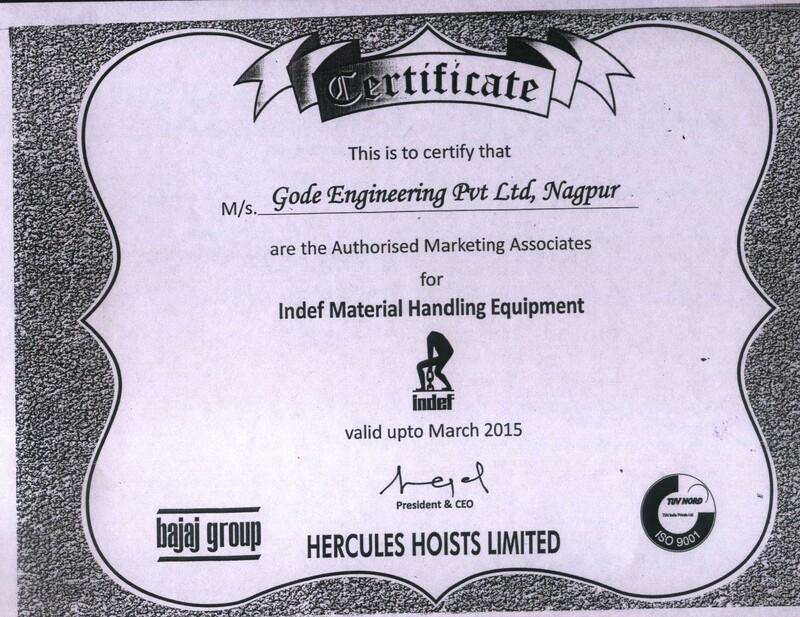 One Stop Solution for Lift, Shift, Move, Store & Maintain Solid, Liquid, Air Handling Equipments & Tools / Tackles. 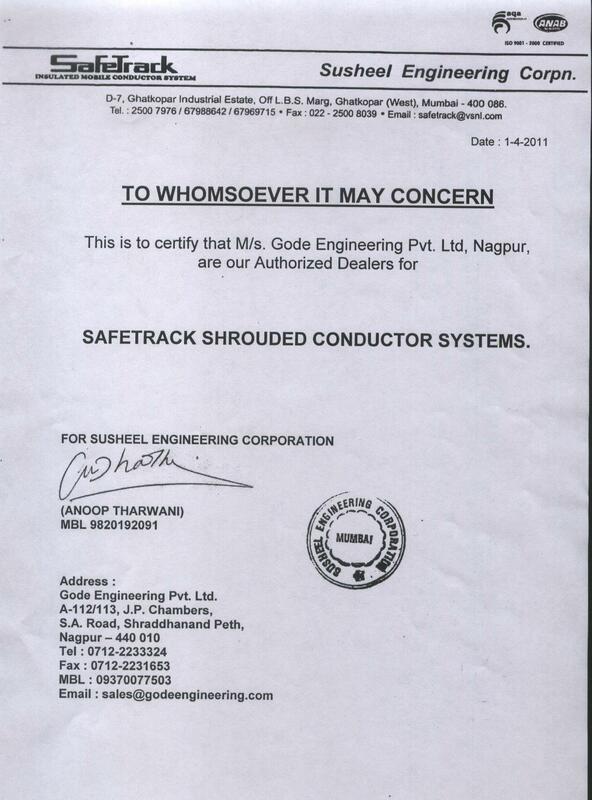 Gode Engineering Pvt. Ltd. incorporated as company on 28/06/2010 by registering earlier High Quality Marketing – established in 1995 with mission at heart to provide technical services to clients in Central India. 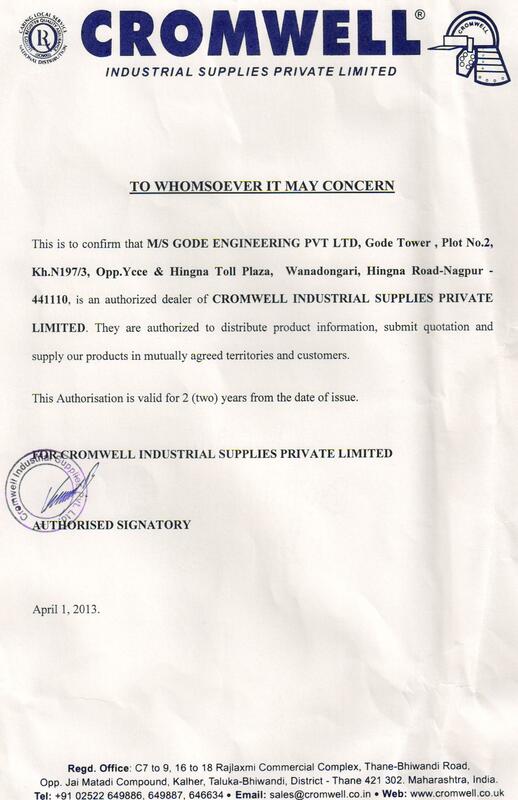 Company is registered with NSIC & MSME as SSI for manufacturing Cranes & Hoists. 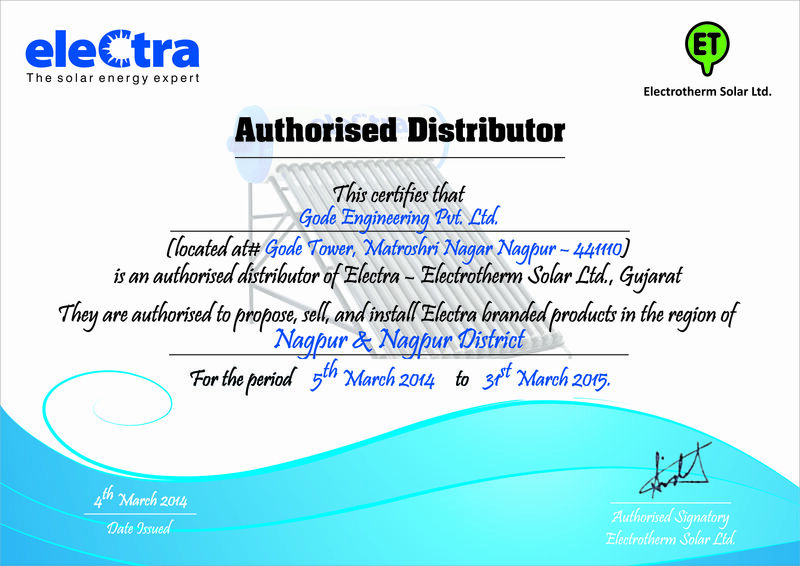 Company is also Authorized Franchisee organization with technical skills to select/recommend suitable equipments for no. 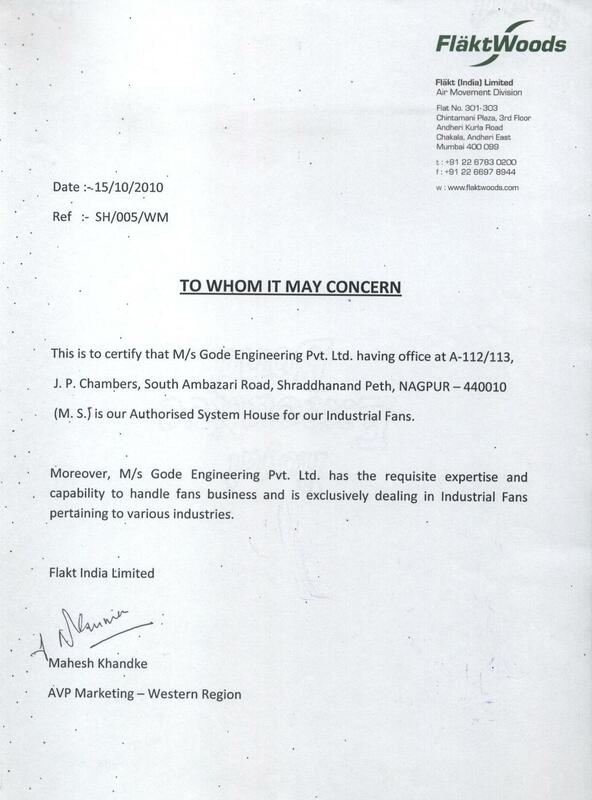 1 manufacturers of India. We are also system integrators, fabricators, manufacturers, assemblers, contractors for providing total solution including erection & commissioning. Our promoters are qualified & experienced Mechanical Engineering with expertise in Material Handling Equipments, Industrial Tools & Tackles, Engineering Adhesives, Hydraulic Equipments, High Speed High Power Helical Gear Boxes, Electric Motors, Centrifugal Pumps, Industrial Fans (Blowers), Floor Cleaning Equipments, Work shop Equipments for Automobile Service Stations & Solar Water Heaters. Our organisation stands on the pillars of honesty and integrity. For catering to the varied requirements of the clients in an efficient manner we offer a comprehensive array of Industrial Products. 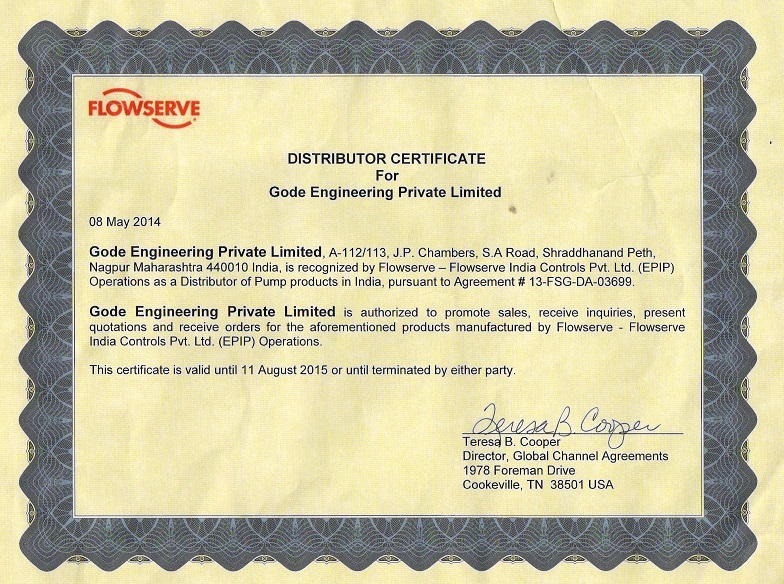 This diverse gamut comprises Godrej Forklifts, Stackers, Hand Pallet Trucks; Indef Chain Pulley Blocks, Hoists; Flowserve Industrial Pumps; Godrej Tennant Industrial Cleaning Equipments; Cromwell Industrial Supplies of vast range of equipments & tools; Electra Solar Water Heating Systems; Tangee Hydraulic Jacks; Elecon Power Transmission Equipment; Flaktwood Industrial Fans; APT Pneumatic Material Removing Equipments; IEC Pneumatic Tools. 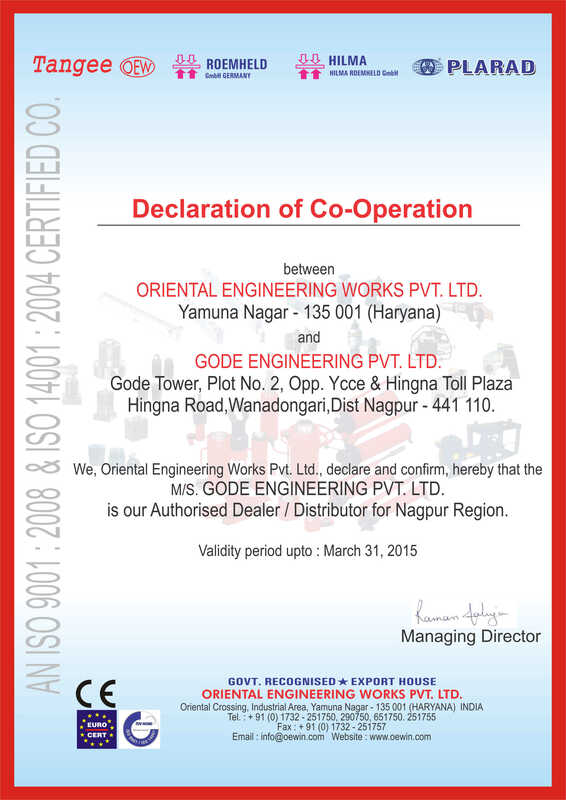 We also manufacture EOT Cranes, Goliath Cranes, Goods Lifts, Hoists, Dock Levellers other special purpose material handling facilities. We are maintaining state of the art Service Station with all repair / overhaul and testing facilities supported by company trained service engineers, technicians for services at our service station as well as on site. We also undertake AMC / CMC / Repair / Overhaul assignments to support our esteemed clients concentrate on their core activity. Copyright 2014. 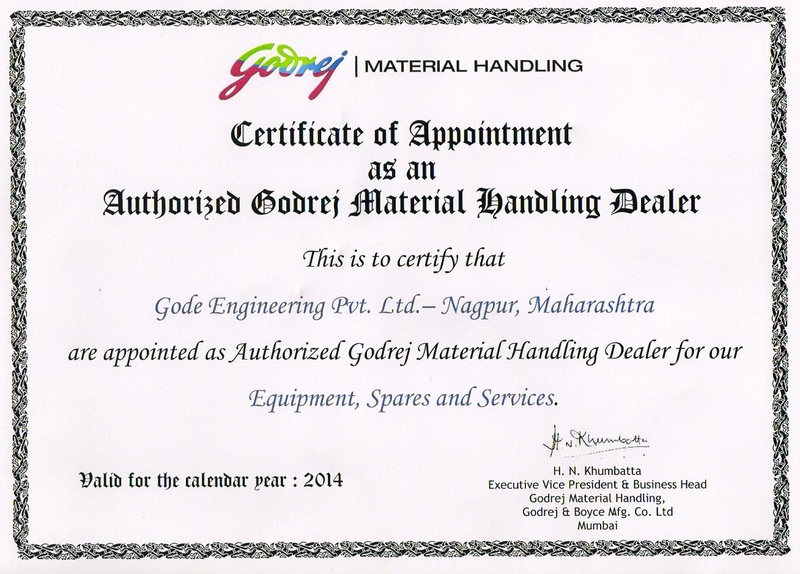 Gode Engineering Pvt. Ltd. All Rights Reserved.